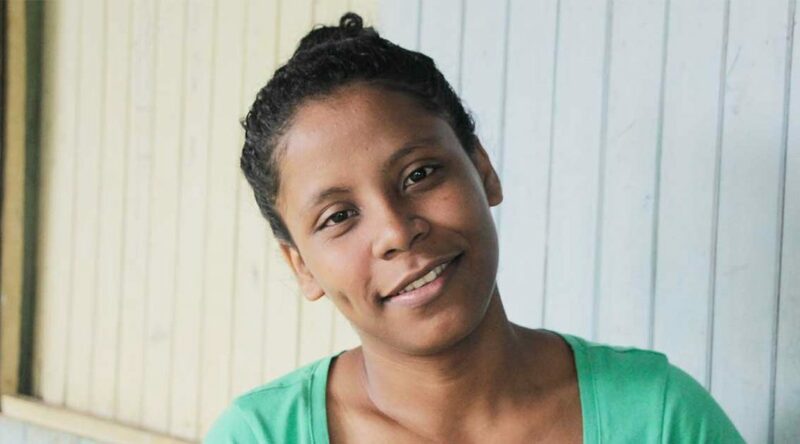 Sponsored youth Damaris, 23, has faced an uphill battle since childhood to complete her education. Nevertheless, she’s close to reaching her goal of a college degree in human resources. Every path out of poverty is lined with obstacles. Damaris’ journey has been extraordinarily difficult. Most sponsored children need additional support to help them continue their studies past primary school. For Damaris, it took sponsorship support and her willingness to work while attending school to afford her living and education expenses. Edwin uses a ledge in his home to study. 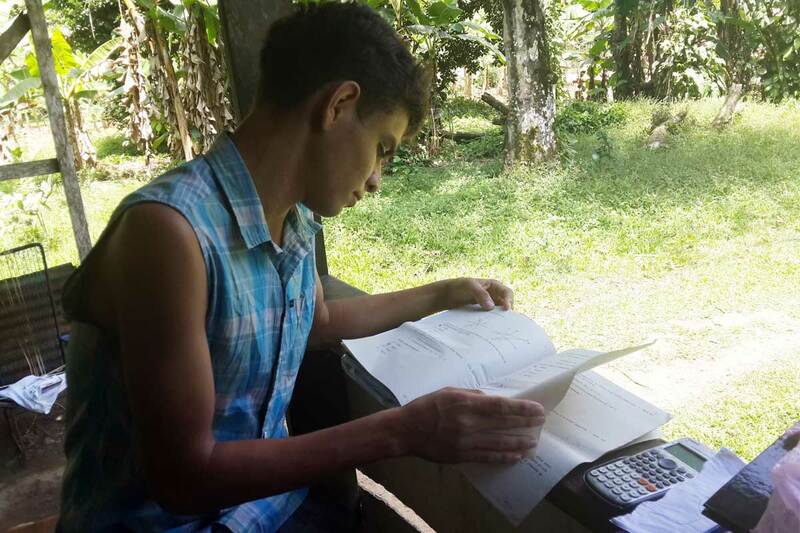 When Edwin was sponsored through Unbound in Costa Rica at 8 years old, he probably never thought he’d have the opportunity to go to college. 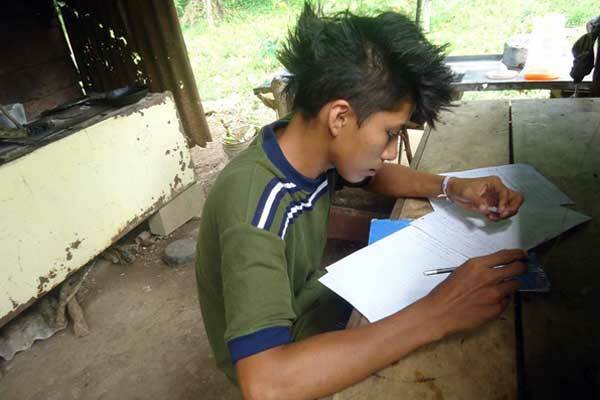 He and his family faced challenges that would have made getting an education difficult. Maria, 22, is a former sponsored member who now works as a social worker for Unbound while pursuing a nursing degree. Children learn many things from their parents. 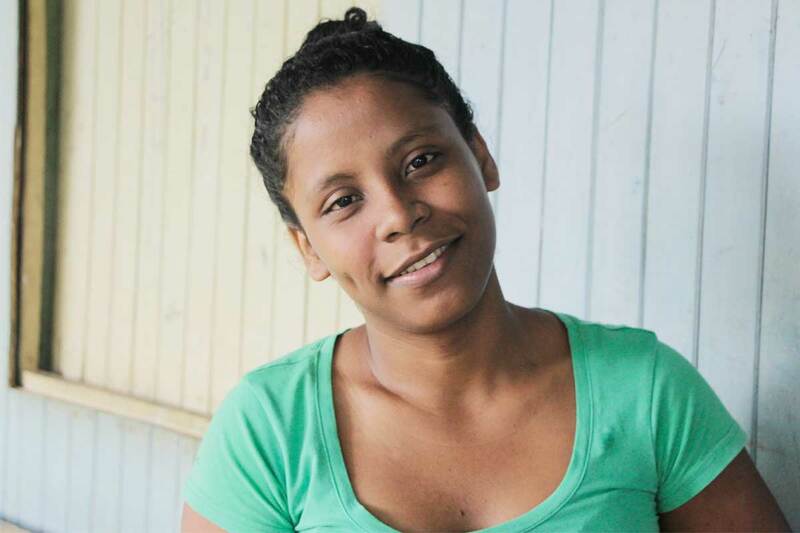 Maria, 22, from Costa Rica, is going to school to become a nurse, has a job as a social worker with Unbound and is a former sponsored member and scholarship recipient through Unbound. She credits her parents, Francisco and Maria, with teaching her and her eight siblings many important lessons. One of the many values she and her brothers and sisters have learned from their parents’ example is the importance of hard work. Every year, sponsored friends of all ages gather to make Christmas cards to send their love and holiday wishes to their sponsors. Check out these photos to get a glimpse at the work that goes into making the Christmas cards. A sponsored girl in Costa Rica looks at the card she made. Sponsored elders make Christmas cards in Costa Rica. Sponsored children make Christmas cards in Madagascar. Christmas cards drawn by sponsored children in Madagascar. Sponsored elders make Christmas cards in Ecuador. Sponsored children make Christmas cards in Nicaragua. Sponsored children make Christmas cards in Guatemala. Sponsored children make Christmas cards in Honduras. Send your sponsored friend a Christmas greeting today! When Moisés describes his typical day, it doesn’t sound too different from what you might expect from a 19-year-old living in the United States. “I get up in the morning and, logically, I get a hot cup of coffee. I practice a little with my guitar and use the computer a bit. Ivannia (center) holds Maria and her grandson, with Jose and Kimberly at her side. 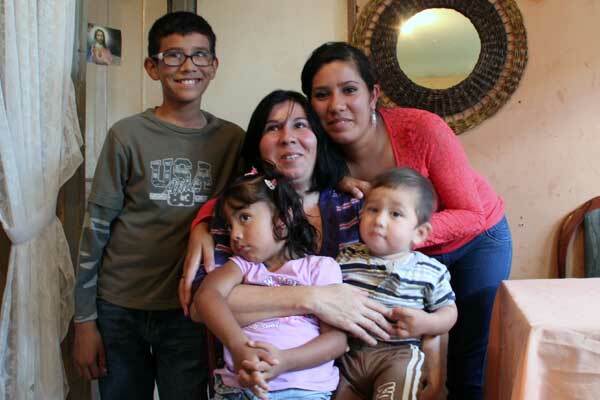 As a mother raising her children on her own, Ivannia knows she has a long road ahead. She’s already overcome a lot in her life. 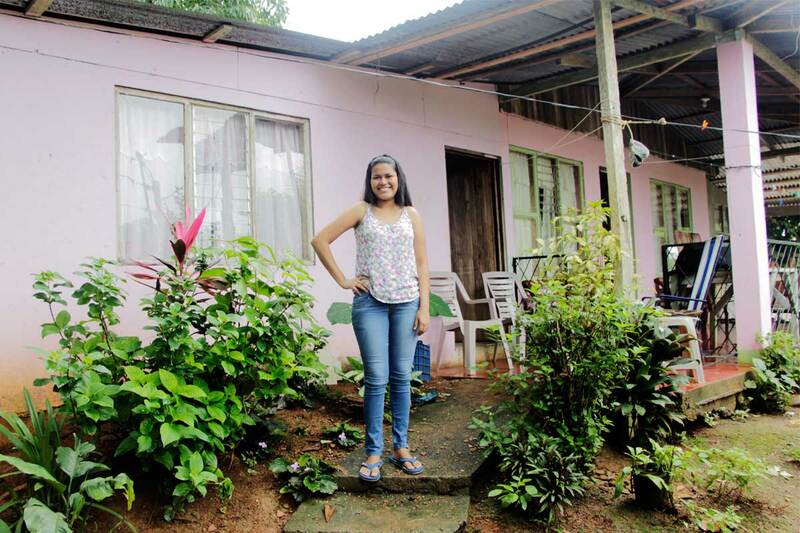 With support from her parents, her children’s sponsors and a group of mothers from her community in Costa Rica, Ivannia keeps her family moving forward. 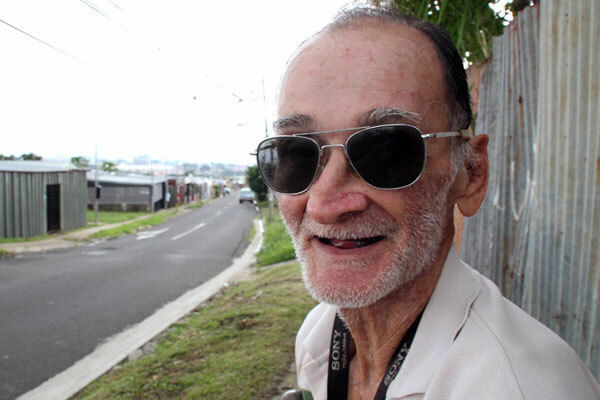 Alan, a 75-year-old sponsored elder in Costa Rica. At 75, Alan would not strike anyone as a likely candidate for adoption. But the Unbound mothers group in his community didn’t let that stand in their way. They have taken Alan into their hearts and care for him as one of their own. Flor flashes a grin as she cooks a tortilla in her family’s kitchen. Flor starts her day at 4 a.m. She wakes up, brushes her teeth and then grinds corn so her grandmother can make and sell tortillas. She then works as a nanny from 6 until around noon. After that she tries to spend some time with her family before she heads out again for her night classes from 6 until around 10. After class, she takes the bus home and gets ready for bed. Rafael Villalobos, program coordinator for Unbound in Costa Rica, visits with a sponsored child and his mother. In the United States we still have a few months before we celebrate Labor Day, but many countries, including Costa Rica, the Philippines, Kenya, El Salvador and others, observed the holiday on May 1. In honor of Labor Day, Rafael Villalobos, coordinator for Unbound in Costa Rica, shared a reflection about his own work at Unbound. This has been my work experience with Unbound. It’s not just a job, it’s a mission, a lifestyle, something that inspires and gives meaning to life. Ulises with his mother, Marjorie. Marjorie with her son Ulises at their home in Costa Rica. Autism affects one in 68 children, and it’s one of the fastest growing developmental disorders in the last 20 years. April is Autism Awareness Month — a month dedicated to educating the public about autism and helping to create a safer, happier world for those challenged by this disorder. Unbound sponsorship offers support to families around the world who are impacted by autism. 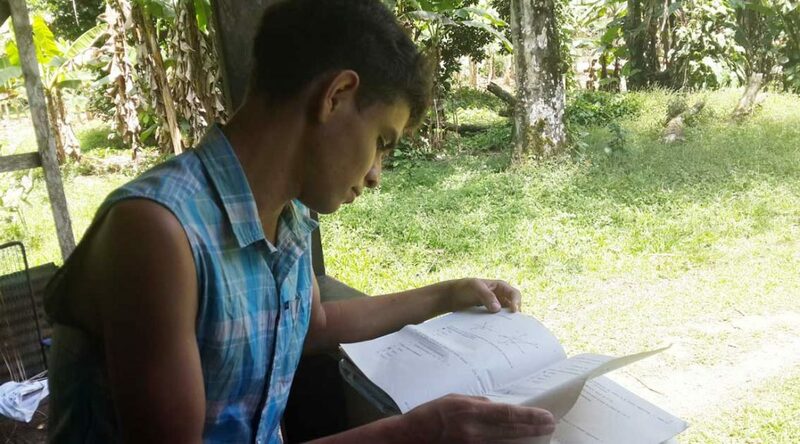 Ulises is a 22-year-old sponsored youth who has autism. He lives in Costa Rica with his mother, Marjorie, who takes care of him. “My dream is that one day he would do things on his own, so he would be independent when I’m no longer with him,” Marjorie said.